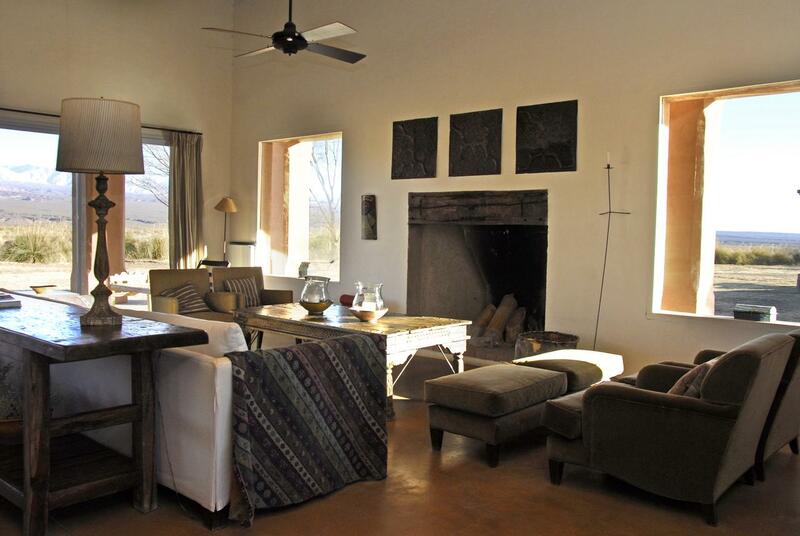 Posada Paso de los Patos is a peaceful country retreat framed by mountains with true Andean charm. 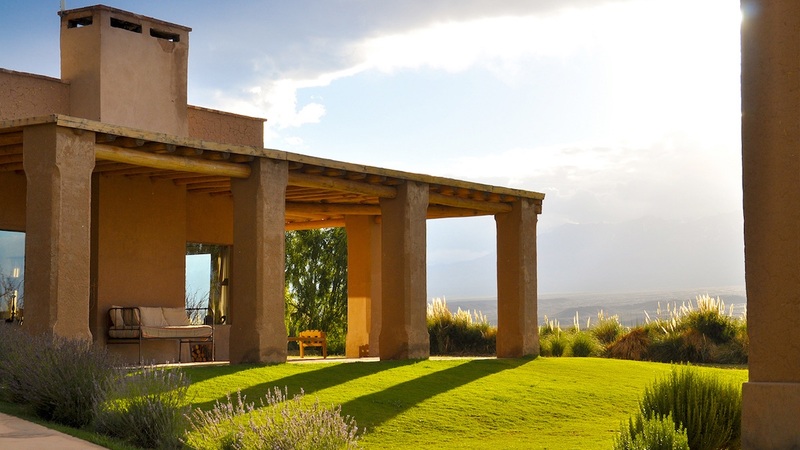 Journey a few hours’ north of Mendoza through the Calingasta Valley to reach the lodge’s outstanding location. 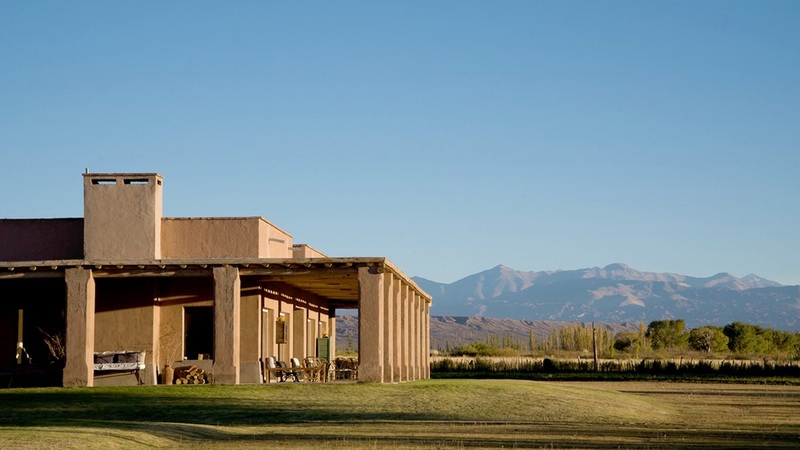 Situated on the edge of a glistening lake, the Posada looks up to the Cordillera de los Andes to the west, a spectacular chain of snow-capped mountain peaks reaching 6000 metres, and the Tontal precordillera mountain range to the east. 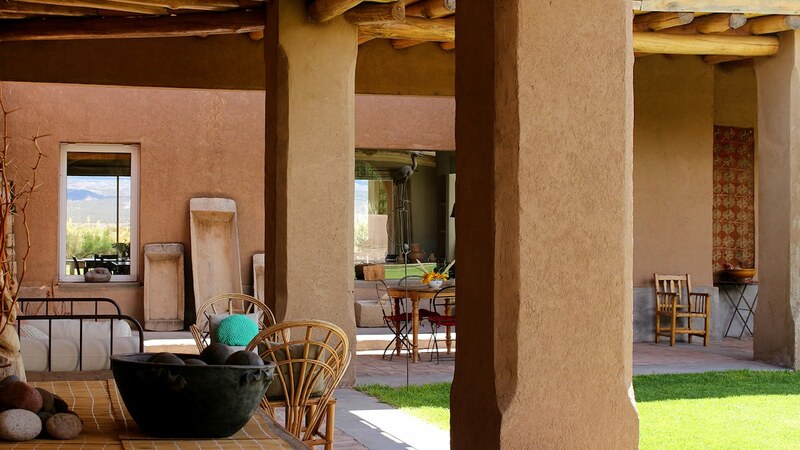 The Posada respects the traditional architectural style of the region, featuring 10 adobe villas that house spacious bedrooms and ensuite bathrooms within. 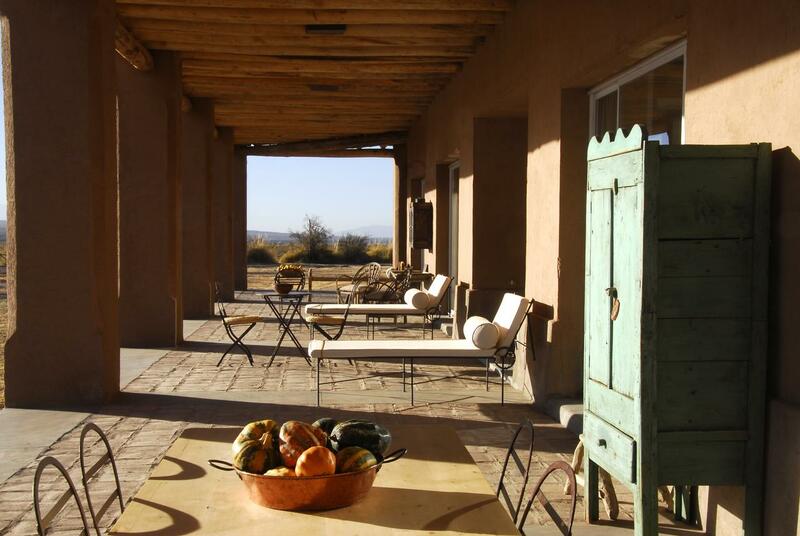 Simple, rustic and stylish, each is complete with a double bed dressed with soft white linens, A/C, antique night stands, wicker chairs, and decorated with colourful Andean textiles, local artwork and freshly-cut flowers. A shaded veranda wraps around the lodge, leading onto a lush green lawn where picnic lunches are served in the splendour of stunning mountain views. Sit out on the lawn to listen to the peaceful sounds of birdsong and the gentle breeze fluttering through the tall grasses of the surrounding fields or whistling through the lines of poplar trees. Afternoon tea is served on the lawn on a white-table cloth, displaying a variety of home-made treats that are enough to send anyone into a lengthy siesta. 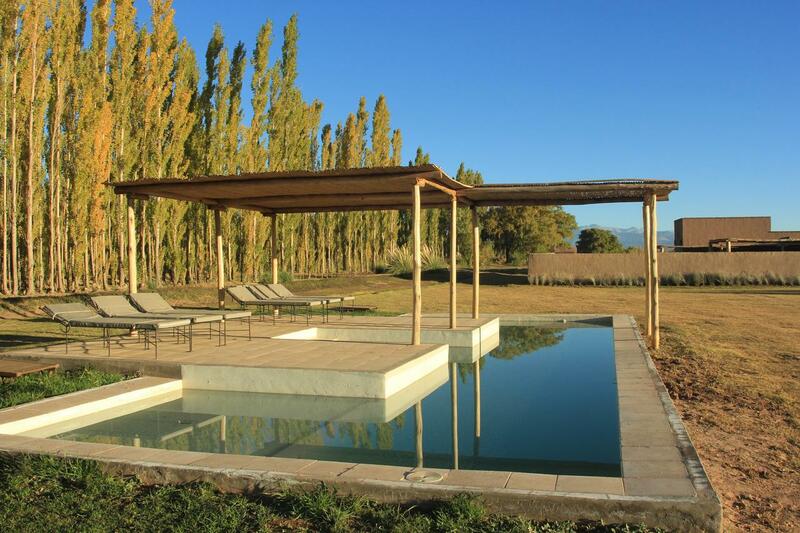 The Posada’s swimming pool is open during the summer – perfect for cooling down in the midday sun. The Posada boasts an expert local chef, who creates delicious dishes inspired by the region. Guests can dine in the restaurant by an open fireplace enjoying uninterrupted views of the countryside through floor-to-ceiling windows, or out on the lawn in the sunshine. Generous picnics are freshly prepared each day to take out on adventures, and the region isn’t short of stunning viewpoints to stop and rest, refuel and siesta. 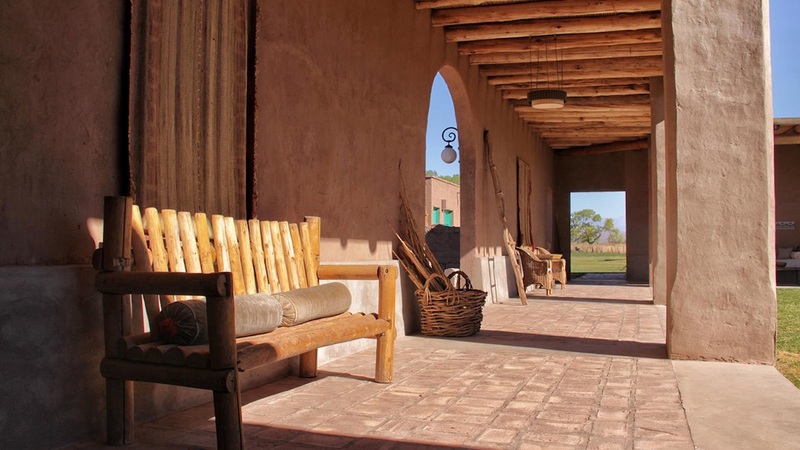 Posada Paso de los Patos is a very personal and welcoming country lodge; a place to relax and feel energised, soothed by a sense of solitude that only the great outdoors can provide, completely immersed in nature. The rhythm of life here is slow and steady, and the Andean landscapes never cease to inspire; their foothills lend themselves both to gentle discovery and adventurous exploration. Close to the lodge and the village of Barreal are some beautiful gentle hikes through deep red hills and a small green oasis lined with poplar plantations. 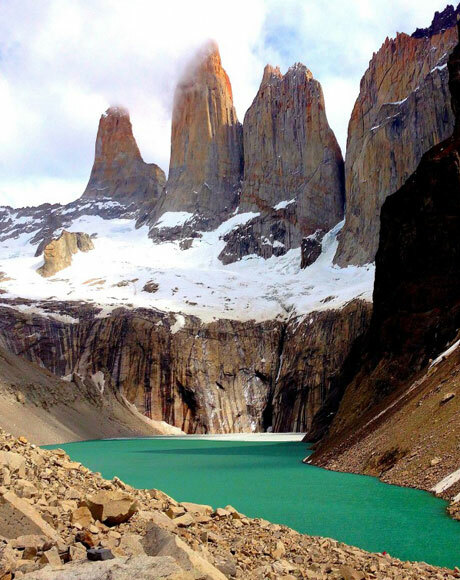 Trekking on the top of the Andes is breathtaking; traverse the multicoloured earth of the mountain spine, where huge rock formations, extraordinary in design, seem completely out of place. These remote Andean landscapes, magnificently disparate, demonstrate the wondrous creativity of La Pachamama. After a hearty breakfast, climb Tontal mountain for stunning views across the Andes. Guests can also mountain bike, or take 4×4 excursions over ever-changing scenery, stopping for a leisurely picnic and sharing the land with only the guanacos and the birds. Saddle up to ride into the mountains in complete freedom, following your own path, breathing in fresh mountain air and taking in the beauty of undisturbed nature in every direction. Head into the wilderness with a rod and line, stopping at a shaded patch of riverbank to fish the crystal-clear waters of ‘Rio Los Patos’ in blissful solitude. 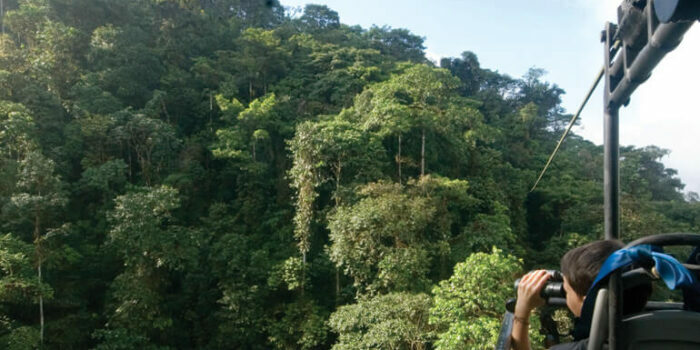 Nearby, El Leoncito National Park protects local flora and fauna and is renowned by astronomers as an area that rarely sees cloud coverage. The park is home to two incredible observatories, Pampa del Leoncito and CASLEO – we’d recommend visiting at sunset as the light changes and the stars begin to appear. The CASLEO Observatory has two state-of-the-art telescopes that give the most extraordinary perspective of the night’s sky and star formations. Pampa del Leoncito is an ideal place for ‘carrovelismo’ (land sailing). 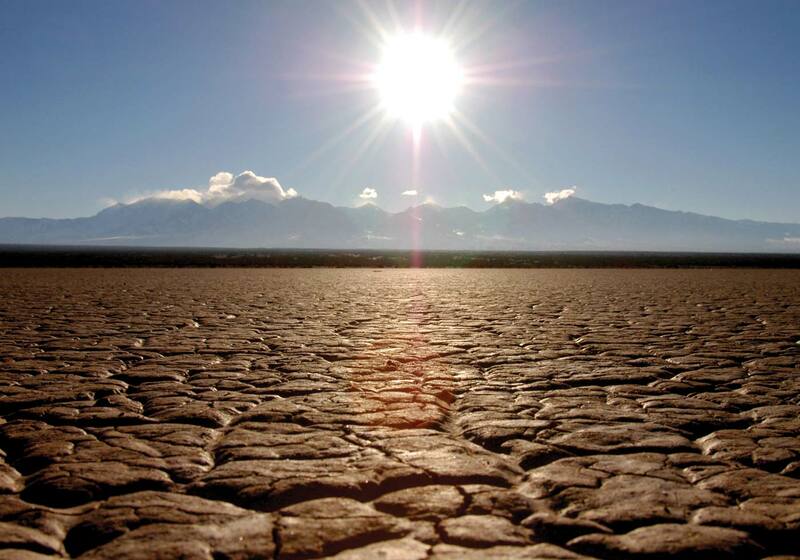 Similar to a darker salt flat, its surface is flat and smooth – try this as the wind picks up later in the afternoon with a private guide to show you the ropes. The pretty streets of the village of Barreal are worth a wander and be sure to visit its ancient adobe chapel. 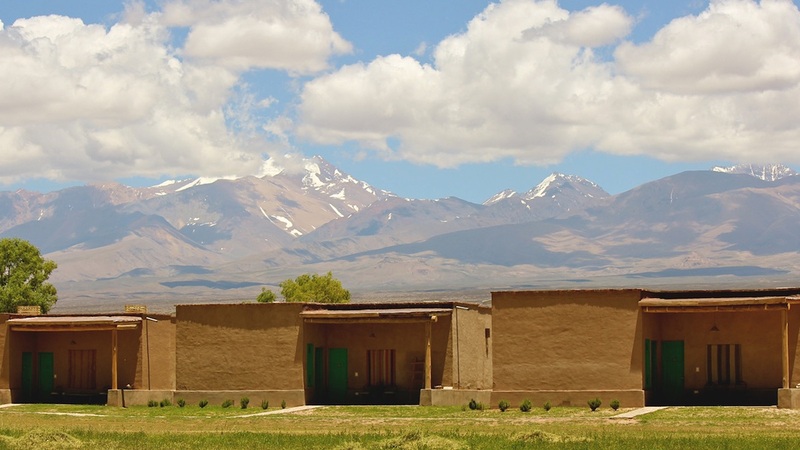 The village has a fascinating history – General San Martin began his Andean crossing here, leading his army over the mountains to liberate Chile from Peru. He chose this location for the element of surprise, as he was expected to cross further south over much lower ground. 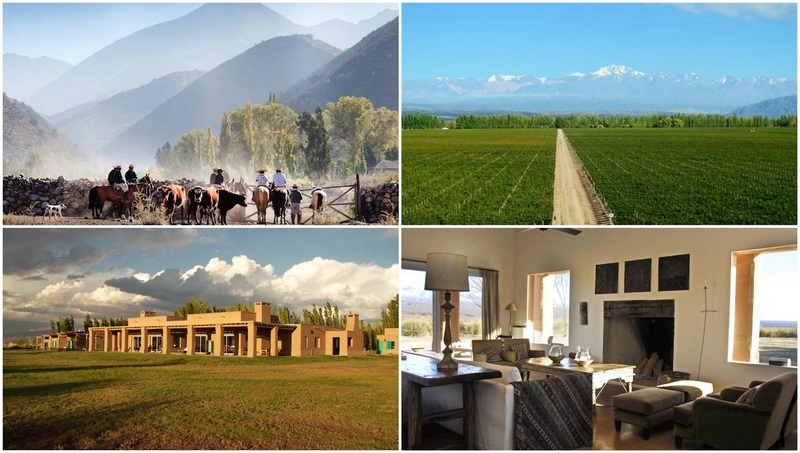 Combine a stay at Posada Paso de los Patos with a visit to Mendoza. 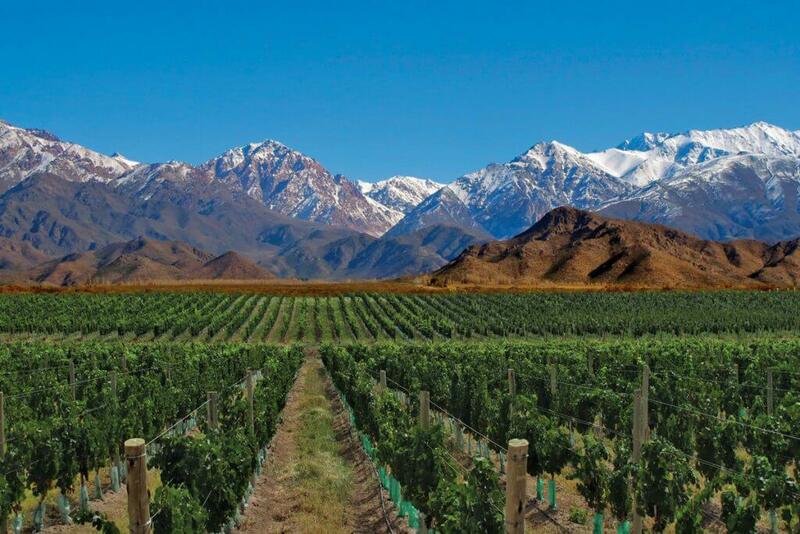 Mendoza is Argentina’s most prized ‘wine cellar’, a gorgeous landscape in the foothills of the Andes, sewn with grape vines that produces the most delectable nectar in the country – perhaps even the continent. 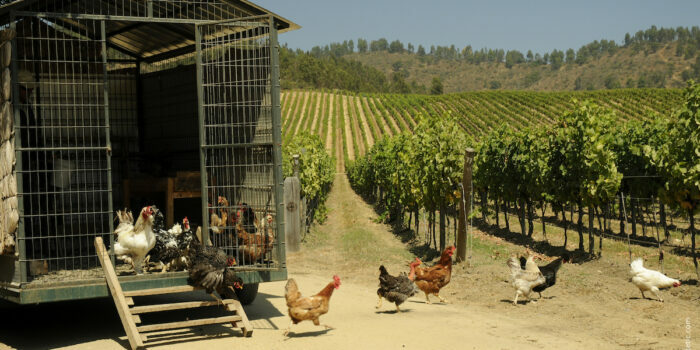 Explore the region, tasting the finest local wines in boutique bodegas. The scenery in and around Mendoza is magnificent.